This part of my story actually begins in 1996, which was when I took up quilting as a “serious” hobby. 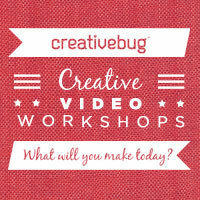 I traveled a lot, so always took a project to work with me while flying or waiting in airports. Those were the days when we could still carry scissors with us, so I actually managed to get a lot sewn on trips. Obviously, those early projects were mostly hand sewn. At the time, the Internet was my teacher and my source for patterns. Little by little I was also able to put a small quilting library together. Foundation piecing became a favorite, because I could trace my patterns onto small squares of foundation fabric, pack them in my carry-on with a bag of scraps and my sewing supplies, and by the time the trip was over I would have a small stack of blocks ready to be assembled into a quilt. My online searches focused primarily on paper-piecing projects. 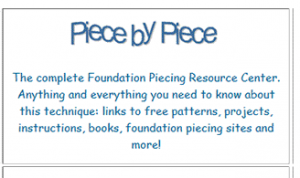 I had hundreds and hundreds of free PP patterns bookmarked. When Jared noticed this, he decided to introduce me to Front Page, so I could organize them alphabetically. Once that was done, he told me it was time for me to share that knowledge base, and started me on my first website. It was the year 2000, and Piece by Piece was born. Some of you might remember it as a listing of paper piecing patterns and resources that grew to over 1,500 links. 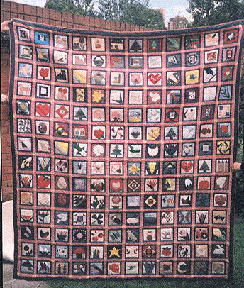 Up until 2000, I had been a somewhat lonely quilter. Starting that first website allowed me to start friendships with other quilters world-wide. 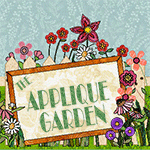 I joined several small online groups and started to enjoy sharing with other like-minded souls. These were all English-speaking, and I soon began to realize there were a lot of Spanish speakers out there interested in quilting, but there were practically no resources available in that language. I had benefited from the generosity of other quilters for my own learning; it was time to pay it back. 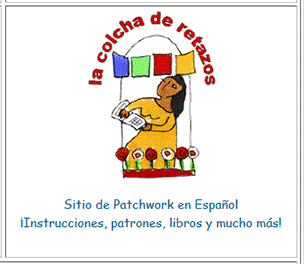 By 2002 I had started a third website —La Colcha de Retazos–, which became the largest and main focus of my online efforts. I offered an English-Spanish quilting glossary and a fairly complete number of tutorials for beginners in Spanish. I also started to share a few of my patterns, written in Spanish. It was on this website that I offered my first twelve-month BOM project, in 2003. It became very popular, and not just among Spanish speakers. 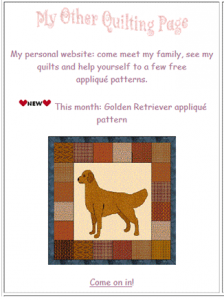 I was flooded with visitors each month, especially from the Cyberquilters list (I still belong to that list). Until then I had lodged my websites for free on Tripod, but when my bandwidth starting running out around mid-month we knew the time had come to obtain my own domain (ajpadilla.com) and start paying for hosting. To cover the costs, I also needed to start charging for some of my patterns. 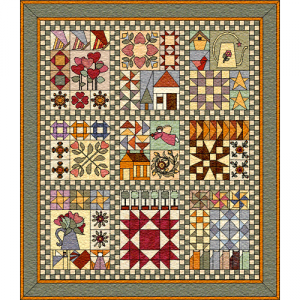 This, however, occurred toward the end of 2003, which means we are moving away from May 2003 and the reason why that is the month that I use to mark the beginning of my career as a quilting professional. Let’s backtrack for a second to 2002. 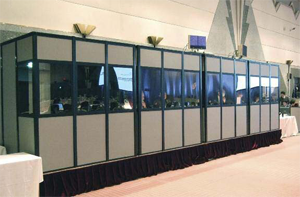 I had been working as a conference interpreter and translator for 15 years. I traveled constantly, and was starting to get weary. The last couple of years I had accepted assignments that took me away from home a lot, and I had begun to see a pattern, where I was most often gone at least 2 weeks out of every month, and sometimes as much as 3. Conference interpreting in itself is exhausting, and being away from home so much was really starting to get to me. And when I was home, I translated documents that often had to be turned around quickly, involving long working hours, often late into the night. I had started to understand I needed a change. This was scary. I had been free-lancing for so long and loved my independence. I just couldn’t see myself changing over to a 9 to 5 job. I had already done that when I was younger, and it had worked then because I had bosses who pretty much let me work my own schedule and plan my own work load. But I didn’t want to go back to that. 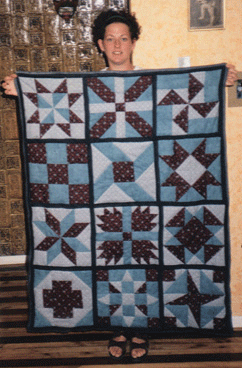 At the same time, quilting had begun to take up practically all of my spare time. I started to consider the possibility of teaching. After all, there was no one doing so locally, and I wondered if this wasn’t the perfect opportunity for me to actually open up an entirely new market. The idea of teaching quilting started to grow and grow in my mind. And then something happened that turned my family’s world upside down. 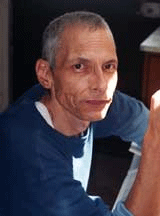 In December of 2002, a week before Christmas, my beloved brother David was diagnosed with Chronic Myeloid Leukaemia. He had become so ill, we nearly lost him that week. Fortunately for all of us, he was stabilized and we were all given time for the battle ahead. David was an agronomist and rural development consultant. Until then his work also involved a lot of travel. Unlike me, however, his travels did not include exotic destinations and comfortable hotels. His time was spent in very poor communities, with few comforts and most often unsanitary conditions. With his CML diagnosis, he was forced to quit this line of work. The question was what work could he do, on such short notice, and with a family to support. The answer was quite clear to me, as we had often collaborated together in the past on written translations, and he had proven to do be an excellent translator. I needed to hand over my client base for written translation work to him (and therefore half of my source of income), so he could work from home and concentrate on his health. And no, this was not an altruistic move on my part, and certainly nothing to applaud. I am grateful that the opportunity presented itself, but I also feel terribly sad whenever I remember my brother’s illness was the kick in the pants I needed to get me going along a new path in my life. The week after Christmas I contacted the administrator of a local gallery in Quito about setting up an exhibition for me. 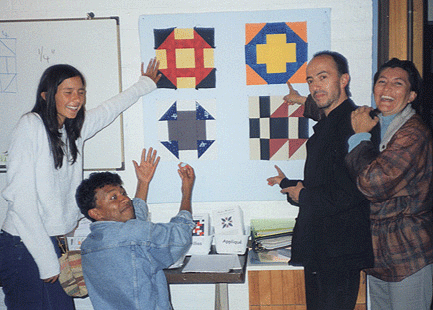 He was delighted with the prospect and we set the date: the month of May 2003 would be dedicated to what would become the first quilting exhibit in Quito. I had four months to prepare. The exhibition did take place as planned. And that is why I always think of May 2003 as the beginning of my professional quilting career. Querida Angie, ha sido un privilegio enorme ser testigo de tu trabajo y de tu camino. Gracias por compartir tu historia, por habernos enseñado a mi hermana Tamara y a mi el patchwork y mil gracias por tu amistad. I remember all of it from the very beginning, oh what memories, some good some not so good, but mainly fun. I hope to be with you for the next 11 years too. Linda historia. De mucho esfuerzo y sueños cumplidos. Que bueno conocerte más allá de tus diseños. Felicitaciones por estos 11 años y que sean muchos más. Feliz pago mi suscripción porque me ha servido mucho. I remember well your travels to the quilting world, my dear friend. There was never a doubt in my mind that you would not succeed as such was your “new found” passion. 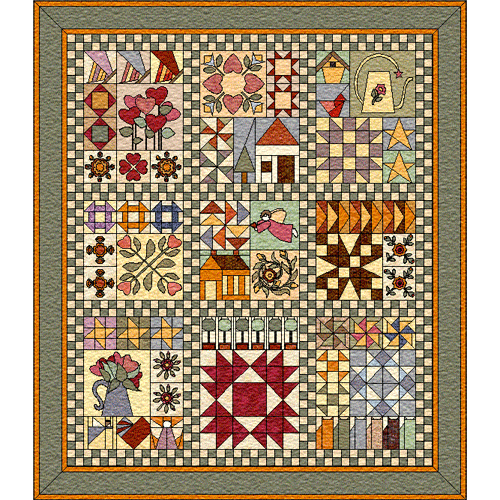 The quilting world obtained another jewel in its crown when you decided to follow a new path. Congratulations! May your journey continue and I, for one, look forward to reading your new adventures, seeing fantastic patterns and watching you grow even more. All the best to you and my you enjoy all the best that the world has to offer.